Trendy Milan, welll-known for fashion, luxury brands and commerce, draws a sizable crowd of eager visitors who arrive at the city for shopping. But even as you gather a shopping list and make grand plans for your retail therapy fix in this city, do set aside time to visit some of its spectacular monuments and travel sites! It is impossible to miss this iconic cathedral when in Milan. 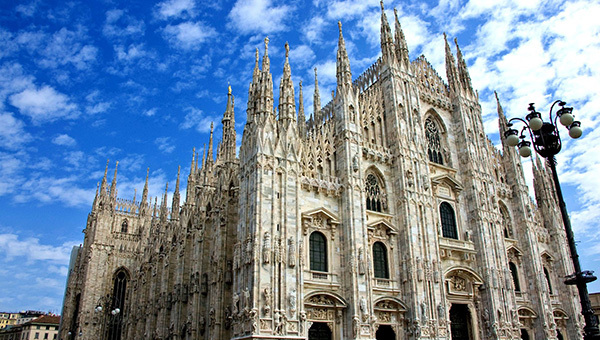 The Duomo is the city's most recognisable building, and one of the largest Gothic-style cathedrals in the world. Apart from exploring the interiors of the Duomo, visitors can also take an elevator ride to the roof to enjoy panoramic views of the city. If you have plenty of time to spare and care for a workout, take the tougher way out by opting to climb the stairs to the rooftop. Just make sure that you are donning comfortable footwear, as the surface of the steps are not even throughout! 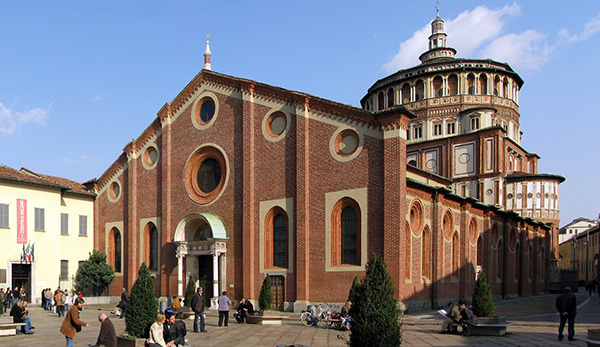 A central work of Renaissance architecture, the Santa Maria delle Grazie is also a UNESCO World Heritage Site. It is better known for housing the renowned fresco, Leonardo da Vinci's "The Last Supper", situated in the refectory of the church. If you wish to see Da Vinci's masterpiece, do book tickets in advance as queues to see the painting are long, and only a fixed number of visitors allowed to see the painting at a time. Each visitor is allowed a viewing time lasting a mere fifteen mintures, so if you get the opportunity to this masterpiece, be sure to make the most of your time spent admiring the work of art! 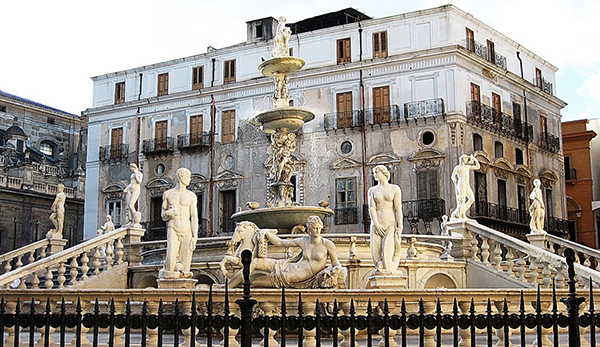 Situated close to the Duomo, the Piazza Fontana is a site that houses a beautiful fountain and plenty of benches. In 1969, the site was attacked by terrorists, resulting in the death of 17 people, and a total of 88 injured. Today, the piazza offers an oasis of calm for those seeking respite from the crowds. Ideal for locals and holidaymakerskeen on spending a quiet afternoon away from the hustle and bustle of Milan's attractions. 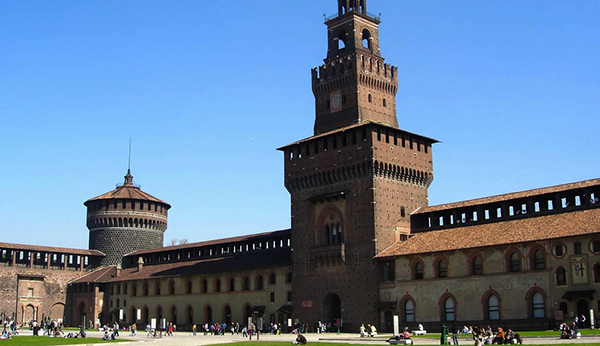 Discover the history of Milan at Castello Sforzesco, home to several of the city's museums, libraries and art collections. Following Italian unification in 1861, the castle was on the verge of demolition, but the city council was persuaded by architect Luca Beltrami to preserve the historical site. Here, you may view the Pieta Ronadanini, Michelangelo's final, unfinished sculpture, as well as other works that he created. There are also exhibits of masterpieces by renowned artiests such as Leonardo Da Vinci, Andrea Mantegna and Bramantino. 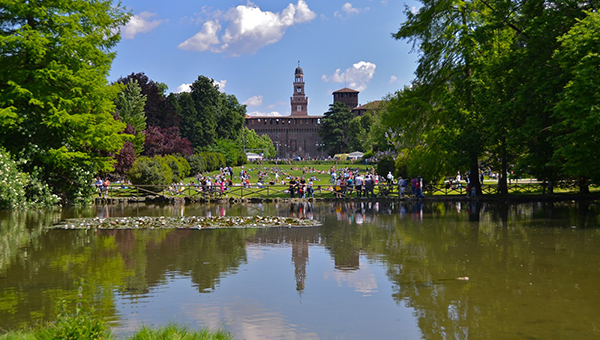 A large city park in Milan, Parco Sempione is located just beside Castello Sforzeco, and houses the arco della pace, which was meant to be an emblem of Napolean's triumph in Italy. During the warmer months in the year, the park serves as a popular spot for the locals to enjoy picnics and recreational activities. It is also common to find locals basking under the sunlight and lying upon the grass. Even when temperatures start to dip, visitors can still venture here to enjoy quiet and leisurely walks away from the busy bustle of the city. 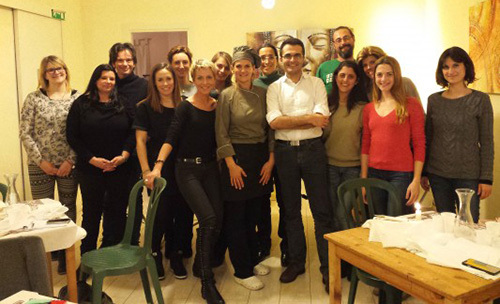 Eat like a local by dining with the Milanese in their homes! Tuck into a sumptuous three-course dinner with Alessandra, or enjoy dinner and a fun-filled tour of the city with Federica. Local hosts will happily alter the menu to suit the tastes and dietary restrictions of diners, so be sure to state your dining preferences during the booking process.